Varun Sindhu Kul Kaumudi, who was on deputation to his home state Bihar at that time, had closely supervised the case as CBI SP of Animal Husbandry Scam Unit, Patna and had also filed the charge sheet in the case. Amaravati: With the conviction of former Bihar chief minister Lalu Prasad Yadav and 15 others in a fodder scam case, 21 years after it had surfaced, an IPS officer of Andhra Pradesh cadre, who had probed the case, said the matter has reached a logical conclusion. Recalling the more than two decades-old case, Mr Kaumudi said, "A truckload copies of documents was submitted to the special CBI court in Patna for providing to the accused within the time-frame fixed by the Supreme Court." Mr Kaumudi, a 1986-batch IPS officer, handled the the fodder scam probe before he was transferred back to Andhra Pradesh in 1998. "I was asked to arrest Lalu Prasad in another related case, but he surrendered in the court," Mr Kaumudi told PTI. He expressed happiness that the case has reached its logical conclusion after these many years. Mr Kaumudi, currently an Additional Director General of Police in the National Investigation Agency (NIA) in New Delhi, also headed the investigation into another sensational case - the Satyam Computers fraud - as Inspector General, Crime Investigation Department of united Andhra Pradesh in 2009. 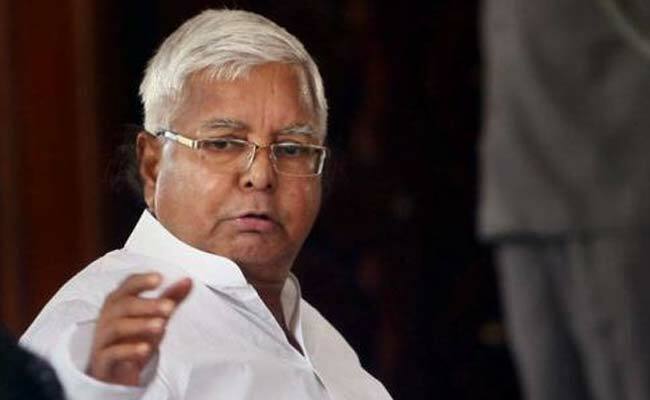 A special CBI court today convicted Lalu Prasad and 15 others in a fodder scam case, while acquitting six others including another former chief minister Jagannath Mishra. The court will pronounce the quantum of sentence on January 3.